Born and raised in the city of Lowell, Robert has been active in fighting the Opiate Epidemic in the Lowell area for a number of years. In 2011, Robert was elected as a member of the Lowell School Committee. At 21 years old, Robert was one of the youngest elected officials in the city’s history. Soon after being sworn into office, Robert worked with local and state leaders to kickoff Opiate Abuse Prevention & Awareness Programs throughout the Lowell Public Schools. Robert has served on the Lowell Taxi & Livery Commission, Immigration Assistance Commission, Lowell Youth Development Collaborative, Lowell Telecommunications Corporation Board of Directors. Robert was educated in the Lowell Public Schools and University of Massachusetts. He was previously employed by the Career Center of Lowell/City of Lowell for a number of years and later as a Director of Finance & Operations at an independent school in Cambridge, MA. Robert is currently employed as the Chief Operating Officer of a large urban K-8 Public Charter School in Lowell. Shaun grew up in Dracut, MA and has lived in Lowell for the last 10 years. He studied Sociology and Regional Economics & Social Development at the University of Massachusetts Lowell. Shaun is currently the Senior Program Manager at the Greater Lowell Workforce Development Board. In this role, he focuses on operations, business and community partnerships, industry sector based job training programs. He also oversees federally funded youth programming of which several Megan’s House residents are enrolled and seeing great success. Prior to this position, Shaun held the Grant Specialist role for the Workforce Board. As the Grant Specialist, he secured funding from both federal and state funding sources to develop and implement occupational job training programs connecting Greater Lowell residents to critical industry sectors in the region. He developed internal procedures for the organizational grant writing process which remain in place currently. 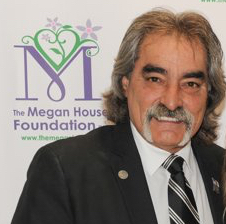 Paul Belley joined the Megan House Foundation Board of Directors in January of 2017, but has been involved with the organization since its grand opening. As is the case with many families, Paul has witnessed the devastating effects of the opioid crisis within his own family. While he is very busy professionally working as a truck driver, professional musician and fishing boat captain, Paul stills find time to give back to his community. A tireless community advocate, Paul has served as the past President and Vice President of the Pawtucketville Citizen Council and is the Founder of the Rosemont Terrace neighborhood group. Paul is also a strong supporter of many non-profits throughout the Merrimack Valley, serving as the Entertainment Director for the Salvation Army radiothon, which helps so many families in need in the region. Martha Crowe Hyslip was born and raised in Lowell, where she currently resides. She has a passion for volunteering and has donated endless hours to non-profit organizations, as she enjoys helping others. After graduating from the University of Massachusetts Lowell and Salem State College with her Master’s degree in Education, Martha began her teaching career in the Lowell Public Schools, as a K-5 grade art specialist. After starting her family, she took time of to raise her 3 children, Suzanne, John and Mariah. 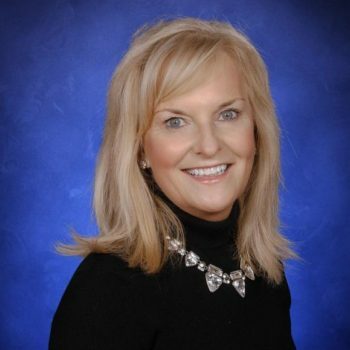 During this time Martha devoted herself to volunteering in the Andover School System as the PTO President, where she raised awareness for cultural diversity in the classroom. In addition, Martha was a member of the Andona Society and is an advocate for the Monastery of Poor Claire. For the past 14 years, she has worked in the field of Special Education at Wood Hill Middle School. In her spare time, Martha is a talented interior designer and loves helping family and friends create spaces that reflect their personal needs and budgets. Martha enjoys her daily runs, knitting and traveling. She and her husband, Rick, own Griffin Greenhouse Supplies, Inc. in Tewksbury, where she is a Special Events Coordinator, responsible for the successful implementation of domestic trade shows. A 22-year veteran of the Lowell Fire Department, Lieutenant David Keene currently serves on Branch Street Engine 2. 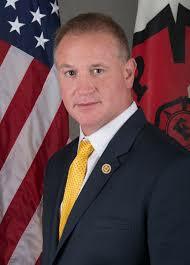 He is a past President of the Professional Fire Fighters of Massachusetts (PFFM) Local 853 and currently serves as Vice President of PFFM for District 4. In 2014, David was instrumental in the effort to have fire fighters carry Narcan in Lowell, which has helped save countless lives and slow down the death rate from opiate overdose. In 2015, he helped identify a federal grant opportunity that helped Lowell land nearly $2-million, money that was used to hire 12 new fire fighters and avoid fire station shutdowns that had plagued the city. A graduate of Lowell High School, David began serving on the Megan House Foundation Board of Directors since its early days in 2015. He also serves on the Retirement Boards for the City of Lowell and Marlbrorough, Massachusetts. Erin Daly McMahon is a lifelong Lowell resident as well as a public school teacher and small business owner. 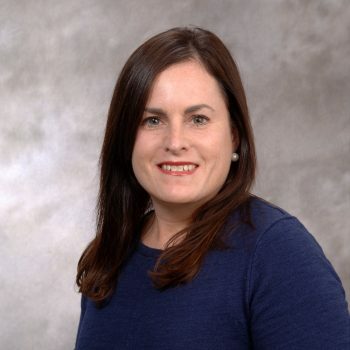 After graduating from UMass Lowell and Lesley University with her Master’s degree in Education, Erin began teaching 6th grade at the Dr. An Wang Middle School where she has taught English for the past 17 years. Erin has also worked in the food and service industry for over 20 years. Her experience working at local restaurants and catering companies inspired her to start her own business. In 2009, Erin took her passion for food and entertaining and opened her own business; Catering by Erin McMahon. In addition to her involvement and support of Megan’s House, Erin has donated her time, energy and services to many local non-profit organizations and charitable events. Erin has supported The Boys & Girls Club of Lowell, the March of Dimes, Lowell General Hospital, Families of Spinal Muscular Atrophy, The House of Hope, The Women Working Wonders Fund, St. Jude Hospital, The PAN Mass Challenge and Children’s Hospital Boston to name a few. Erin is married to Brian McMahon and they have two daughters, Kaleigh and Lyndsey. My family has always instilled in me to take an active role in the community. I firmly believe we all should help those in need, and the opioid addiction crisis is one of the most frightening and critical issues facing our society today. 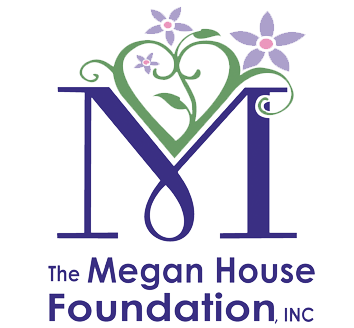 As a proud woman, mother, and teacher, I can not think of a better opportunity to do my part than by getting involved with Megan’s House. 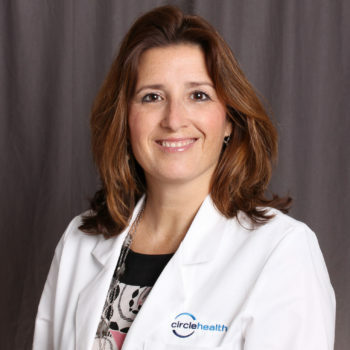 Dr. Mitchell graduated from Rensselaer Polytechnic Institute with her Bachelor of Science, and earned her M.D. from the University of Connecticut School of Medicine. She completed her residency and chief residency in Internal Medicine at the University of Massachusetts Medical Center. She is board certified in Internal Medicine. Dr. Mitchell was a primary care physician for 6 years, before narrowing her focus to inpatient medicine. She worked as a hospitalist for a decade, both at Lahey Hospital & Medical Center and Lowell General Hospital. She held leadership positions as Medical Director of Lowell General Hospital’s Center for Weight Management and as Vice Chair of the Department of Hospital Medicine at Lahey Clinic, and also worked as an Executive Health physician at Lahey. Currently, she is a medical director for the Lowell General Physician Hospital Organization. She led Lowell General Hospital’s two CHART grants, which aimed to reduce hospital readmissions and ED revisits by focusing on social determinants of health in inpatient and ED high-utilizing patient populations. She has also developed a chronic disease program and subacute rehab program for the PHO’s Medicare Shared Savings population. Dr. Mitchell became medical director for Wellforce’s Medicaid ACO, Wellforce Care Plan, in October of 2017. She is currently serving as President of the Lowell General Hospital Medical Staff. Wendy is married to Steven Mitchell and they have four children. Born and raised on the North Shore, Lucas has always had a passion for community involvement and activism. 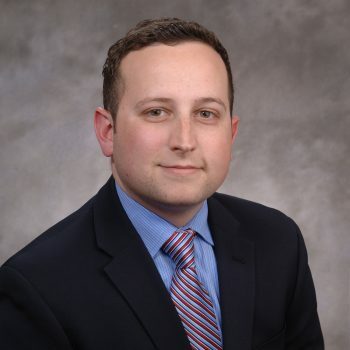 Lucas Noble is the Managing Partner of Lucas Noble Financial, an office of Baystate Financial, an Investment and Financial Planning firm. His practice is located in Danvers and Boston where he has run his small business for the last 10 years. Lucas is currently residing with his significant-other Amanda and their four children, Ariana, Trey, Olivia & Emily in North Andover. 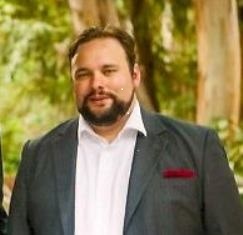 Lucas remains active in many Leadership roles. He is elected to the Massachusetts Republican State Committee, Chairman of the Massachusetts Republican Candidates Committee, on the Board of the local chapter BNI group, A member of the Essex County Estate Planning Council and involved in his local City and Town committees as well as the Chamber of Commerce. We are all impacted by those around us dealing with addiction. Tim’s vison to give people a chance to restart inspires hope and optimism when seemingly non-existent. I am proud to be part of making this second chance a reality for more people. 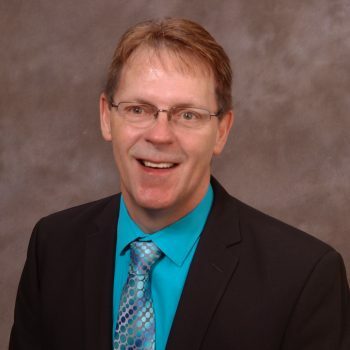 Steven has over 30 years of management experience in various entrepreneurial ventures, with a primary focus on growing technology and service related businesses. Most recently Steve was President of AMD Global Telemedicine in Chelmsford, a pioneer in the remote healthcare market. Steve founded AMD in 1991. At that time, he saw the enormous potential benefits telemedicine could serve for the healthcare industry such as providing greater access to healthcare in rural areas, schools, prisons and the military. Steve is an active member in telemedicine associations and organizations around the globe and has presented at numerous telemedicine forums throughout North America, South America, Europe, Africa and Asia. Steve has authored many articles on telemedicine technology and the growth and acceptance of the remote healthcare industry. He has served as: VP and member of the Board of Directors at the International Society for Telemedicine and e-Health based out of Switzerland, Board of Directors at Canadian Society of Telehealth, and the American Telemedicine Association. In 2006 Steve was the first recipient of the annual “Award for Leadership in the Advancement of Telemedicine” by the American Telemedicine Association. In 2011, Steve was elected into the American Telemedicine Association College of Fellows. Locally, Steve serves on the Board of Governors of Lowell General Hospital where he was chairperson of the LGH TeamWalk for Cancer Care for several years. Steve is Treasurer and a member of the Board of Directors of Lazarus House Ministries in Lawrence MA and member of the boards of Boys & Girls Club of Greater Lowell, Megan’s House and a Trustee of the Merrimack Repertory Theater. Steve and his wife, Sue live in Chelmsford and have 3 children. Christina is a native of Lowell, MA and a graduate of Lowell High School. She attended Rivier University, where she focused on Early Childhood Education/Child Psychology. Christina woks in Retail Banking for Lowell Five, as an Assistant Branch Manager. 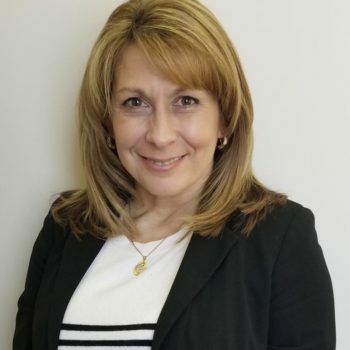 The proud mother of two amazing daughters, she currently resides in Dracut, MA with her husband Kevin and is passionate about improving the quality of life in the community in which she works and considers her home. Christina believes there is strength in numbers and that when we all come together as neighbors and friends, we can make a positive difference in our community. While living in NH, she enjoyed many great opportunities to make an impact in the community, including serving on the School Budget Committee and getting involved in the town through the local Police Department. She also chaired a Non-profit organization providing substance free communities. Through this organization, Christina had the opportunity to attend training events with CADCA and volunteered with the NH Drug Task Force. She believes our voice can be a powerful tool, reaching out to our local legislation on behalf of important laws and matters that affect our towns and cities. Robert Skirvin-Orr grew up in Lowell, with deep family roots in the local area. He has been engaged in his community as an entrepreneur, creating jobs while providing exceptional services for clients. Robert is married. He and his husband, Dr. Skirvin, have one daughter. Robert has worked locally in the self-care industry for 30 years, owning his own business. Robert also owns a boutique that services cancer patients at Lowell General Hospital main campus. He is a volunteer for the Look Good Feel Better organization, a program to help women with cancer feel better about themselves while undergoing treatment, sponsored by the American Cancer Society. As the Director of Education for SoCAP New England, Robert was in charge of redesigning and revamping the education program in the New England District. He has been a regional and national educator for several companies in the Hair Care Industry. Robert is also a professional photographer who completed coursework at the International Center for Photography in New York and the Art Institute of New England and a Master Mason, at William Sewall Gardner-Kilwinning lodge. Robert has been involved in philanthropy work for over twenty-five years, organizing fundraising events for multiple charities including CODA, Breast Cancer Awareness and Lowell General Hospital Cancer Center etc. He proudly serves as an Incorporator for Lowell General Hospital Circle Health. Robert attended Lowell High School and completed his cosmetology training at Lowell Academy. He is a member of the National Cosmetology Association, where he served as director for the Massachusetts Design team. Andrew has spent most of his career in the construction industry and is currently a Senior Leader, Business Development at CoreLogic. His experience ranges from sales of building materials such as roofing supplies, recycling shingles, manufacturing of roof underlayment, to most recently, over eight years in aerial roof & wall measurement technology. 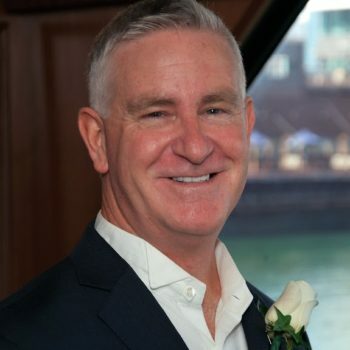 With over forty-two years of industry experience, Andrew joined CoreLogic in 2014 to help introduce the company’s robust data and roofing solutions to the contractor and claims market. His expertise helps clients streamline their business and develop new opportunities while heading up our SkyMeasure product suite. 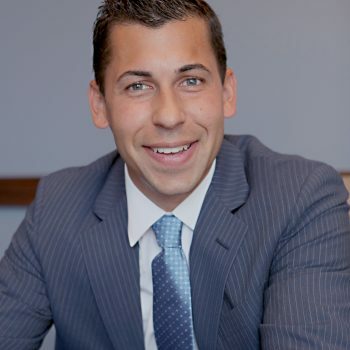 Andrew holds a BS in Business Administration from Emmanuel College and a MBA from Regis University. In his spare time, he enjoys boating, traveling and spending time with family.